You have a busy schedule, and those months-long group class series are tough to fit in. You want to know the what, the why, and the how of giving birth without being told what you should or shouldn't do. We know how hard it is to find the perfect solution to your childbirth class needs. That's why we've created a new option, with you in mind. 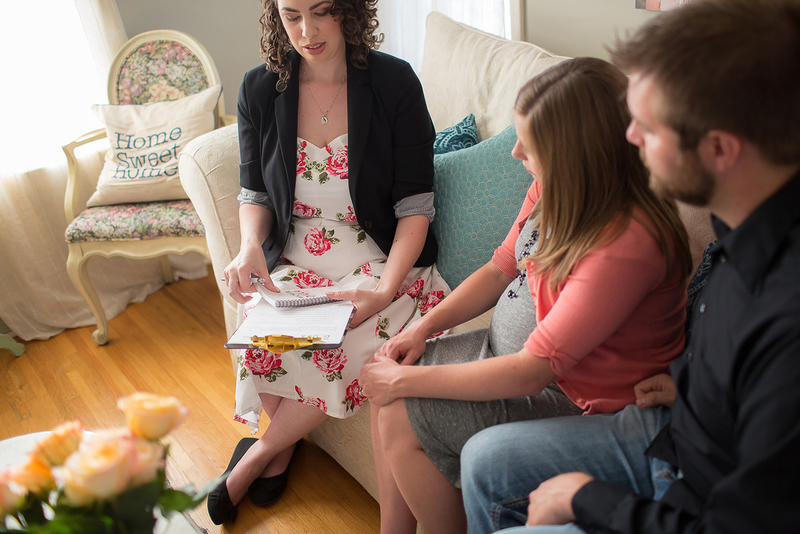 Our thorough, unbiased curriculum covers everything you really want to know about giving birth, your way, and we bring the class to you in the comfort and privacy of your own home. You will come away from our class feeling informed, confident, and secure in your new level of knowledge about childbirth! We offer two classes: one for labor and delivery, and one for infant care and postpartum recovery. You can choose to take one or both! This class will completely equip you with all the knowledge you could want for your pregnancy, labor, and birth. This isn't your grandma's Lamaze class - we give you the information, you give birth your way. This class is suitable for parents planning hospital birth, home birth, VBAC, unmedicated birth, or birth with epidural and will help you feel at ease with your ability to make the right decisions for your unique birth story. With 3 hours of material, you’ll go into the labor room feeling like an expert. $99 per pregnant student (spouse/partner is free!). How to spot the signs of postpartum depression and anxiety, and much more. $99 per pregnant student (spouse/partner is free!). Questions About Childbirth Education in Wichita?